Spike and Scoot. Am I the only one who thinks they would be cute together?. 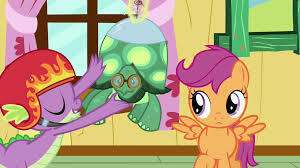 Wallpaper and background images in the Canada24's club.. club tagged: mlp spike scootaloo. Am I the only one who thinks they would be cute together?